This entry was posted in Budget, NSC, Shipbuilding, Unfunded Priorities by Chuck Hill. Bookmark the permalink. OMB wants to cut the CG 10% and redirect the money to othr parts of DHS. Wow. I’m surprised by this. I expected the CG to benefit from the renewed commitment to defense and fleet expansion. The NSC line is hot. Building additional NSCs is a practical way of getting hulls in the water at a time when we are committed to…getting more hulls in the water. This is especially true in light of the problems the LCS program continues to see. So was I at first but after thinking about it for awhile, I’m not that surprised. Mulvaney is head of the OMB- he’s one of those “one-dimensional” deficit hawks (I say one dimensional because they often fail to even consider the implications of their cuts beyond “saving money”). Oh wait, the $54B military plus up is only going to DOD? Oh wait, DHS is raiding the Coast Guard’s budget for other priorities? Are we supposed to be shocked? When the budget needs cutting the Coast Guard is called to the front of the line but when it’s time to hand out bonuses it’s straight to the back. The Coast Guard, always in the ‘friend zone’. It’s like going out to do a boarding only to come back and find out that you missed the ice cream social on the mess deck. I strongly suspect the ninth NSC will get built. But Chuck is exactly correct about the Coast Guard needing to learn how to play the game. Beyond the 30 year plan and unfunded priorities list, the USCG also needs to work the Hill better. They’ve got vocal proponents like Hunter, and they are arguing with him in hearings of all people. If the Aviq doesn’t work for the USCG, fine, they would no better than me. But don’t slam it down in the hearing, just stall and be noncommittal. It is in the USCG self interest to help Members like Hunter, and it doesn’t help him when the USCG scoffs at one of his campaign contributors causes. That’s politics, whether it is unseemly or not. The Coast Guard is freaking amateur at this game. The OMB has never been a friend of the Coast Guard. The USN could give up one-half of an LPD-17 to pay for one NSC. Better yet since there are too many billion $$ Amphibs in the budget how about TWO NSC less one LPD-17? Won’t happen. The Constitution says we shall have a Navy. Coast Guard is a “nice to have” organization at best. Actually the Constitution does not require a navy or army, it only gives Congress the power “To provide and maintain a Navy;” And as we all know we had a revenue cutters before we had a Navy. The amount is actually kind of interesting. By my quick calculations, the fully loaded cost of 10,000 plus 5,000 customs and border patrol folks is approximately 1.5 billion. Strange coincidence, given that those folks were promised a reward. I’d watch for efforts to move patrol boats to AMO next. I guess we will have to wait and see what the DHS appropriations bill looks like. It’s looks like Ingalls has already received about 80 million for the 9th NSC. If I had to guess i would say that we will be getting the NSC #9. I wouldn’t be surprised if the OPC program matures at a faster rate than the LCS program. LCS ships have been in service for 9 years now, more building, and they are still not combat ready/capable. You can probably get a FF4923 Frigate built, and combat ready before the LCS, or SSC or what ever you want to call that craptastic ship is ready. The problem I see with the navy as a whole is the waste of money. They probably waste more than the Coast Guards budget and nobody is holding them accountable. They should be investing their resources in sure things like NSC’s and improve upon them, instead of money pits like the LCS. They should have designed the weapon aka modules first. Then they design the weapon system to carry it aka ship. An example of this is the VFX program that was designed to carry the AWG-9 radar and the Aim-54 missle. Worse than the NSC, there is a story sourced to the Associated Press (reported here: https://sofrep.com/76112/u-s-coast-guard-counter-terror-assets-may-be-eliminated-by-new-budget/ and here: https://www.boston.com/news/politics/2017/02/28/trumps-budget-plan-has-billions-for-border-cuts-elsewhere ) that says the MSRT and all of the MSSTs are on the chopping block as well. I guess “border security” only means the terrestrial border, not the sea borders. Gee, I wonder where the mules, smugglers, and coyotes will go to when the land border is tightened up? He doesn’t think they’ll just give up and quit coming, does he?? Or is there a perception that the job is already well-in-hand along the coast, so much so the NSC and MSSTs can be cut? How many terrorists have the MSSTs caught? Answer: zero. Makes good sense for IMB to recommend to Trump to get rid of them. Send those shirkers to sea. A nice WLB to tend bouys or a WHEC in the Bering Sea to do fisheries boardings and count fish is in order…show them what real Coast Guard LE is all about. This is not meant to be political as both parties suffer from this. Unfortunately I’m not surprised.. Service leaders are talking of fixing the erosion of readiness. For example Naval and Corps strike squadron assets dropping below 50% availability. Administration and congressional leaders as expected ignore the true service needs and focus on big splashes. And unfortunately as I expected the Coast Guard with its day in and day out mission is too mundane for a reality show administration. Looks like Mr Hunter and his collegues will need protect the services for having a pretty house with a bad foundation. Hello Congress. What’s that? The Coast Guard is a military service? When did this happen? What is the Coast Guard’s core business? Is it LE on the high seas? Perhaps Marine Safety? How about Port Security? Could it be ATON? The Coast Guard has so many “multi-missions” that it’s hard to tell what its core business really is. For example, I think it’s perfectly reasonable for the OMB to see the Coast Guard as primarily a port-security and close-in LE/SAR organization. That leads to some obvious changes. Maritime Domain Awareness becomes a purely Navy mission. The Coast Guard can do its deep-water LE by putting LEDETS on Navy ships, (Actually, the Navy isn’t bound by the posse comitatus act. Its use in domestic law enforcement is limited only by an — easily changed — DOD directive. Change that DOD DIR and the Navy won’t even need a Coast Guard LEDET.) ATON can be transferred to the Army Corps of Engineers (which makes much more sense than having it done by active military personnel), and Marine Safety can be transferred back to DOT where it too makes more sense. The remaining close-in LE/SAR missions can be filled by Sector Commands and smaller vessels such as the Fast Response Cutter. Given the concomitant reductions in District, Area, and Headquarters staffs the residual Coast Guard should easily be able to operate on what’s left over after all the other missions have been pruned. The bottom line is without identifying the Coast Guard’s core business all that’s left is a pile of disjoint missions that easily can be parceled out to other organizations. No wonder the OMB wants to cut back its budget. The Coast Guard needs to find a core business, tie all its missions to it, and jettison the ones that don’t fit. The problem with this is that American people would never tolerate the military enforcing state and federal laws In my opinion. Every branch has their own police, but the Coast Guard is different because the service as a whole is a police force. The Coast Guard is to the Navy what the Army’s Military Police is to that branch. I have no problem with the USCG being under DHS, as long as the budget comes from DoD, and the Commandant takes his place on the joint chiefs. And i think we need more officer exchanges. Secretary Kelly knows the importance of the USCG by working with them. 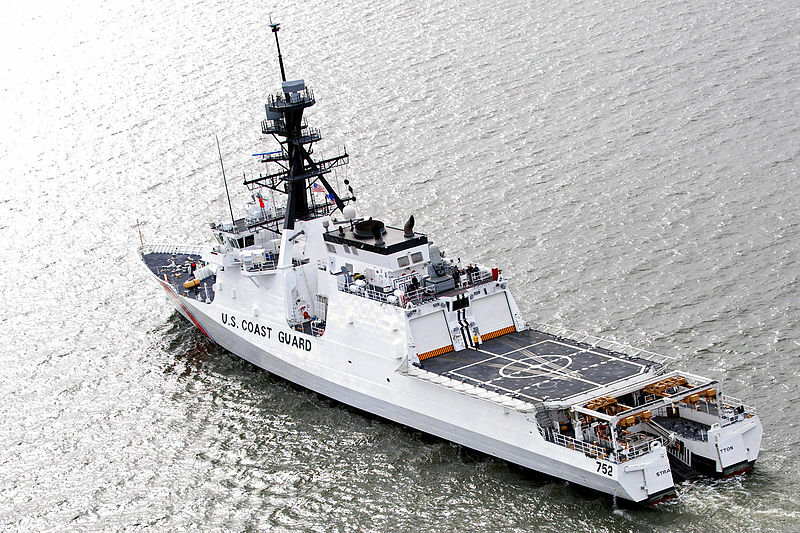 How many Navy officers have never worked with the USCG, or stepped foot on a Cutter or two? Or assign a Naval officer to a USCG admiral’s staff and vice versa. I think you’re right. The public wouldn’t accept domestic law enforcement by the military — MPs patrolling the street. But I think that there’d be very little objection to the Navy enforcing the drug laws at sea. I think the Navy would object to it more than the the citizenry. Of course it’s an open question how much they’d object if they were to get the additional ships the Coast Guard operates now. People have no objections with the navy enforcing drug laws, as long as they are under USCG control. If not it would be an act of war concerning other countries flagged vessels in international waters. Guess I don’t understand the comment that the CG core mission isn’t clearly defined. The CG is the nations maritime law enforcement service going back to the Revenue Cutter Service. It has always acted as a partner to the Customs Service, and why both were in Treasury. As with any law enforcement agency the CG tasking is varies widely, from port security to fisheries enforcement to interdiction. Just like my relatives working as a rural county sheriffs or wife’s relatives working in Justice. In the end the port security, fisheries enforcement, maritime safety, etc are all complimentary missions. One could argue that SAR and ATON are where the core mission is stretched. But in both cases by having the the SAR and ATON assets within the Coast Guard enhances the law enforcement mission. For example the same HC-130 when not tasked for SAR can be sent out for patrol and interdiction missions. And I would suggest the Navy neither wants or would properly dedicate resources to a maritime law enforcement if it was moved. Maritime law enforcement is not a core mission for the Navy and they are not trained, organized, or equipped for such a mission. While one could say the CG budget is near the size SOC the core mission is not a military one, but a law enforcement one. As such in the end it will fail to get support within the Pentagon budget process and have the budget stolen for more strike fighters or some other core military capability. So in short I would argue it isn’t a matter of the Coast Guard not having a solid mission, but the new OMB leadership blindly cutting. I also argue its part of a pattern as the proposed cuts in NOAA’s weather satellite program don’t seem to recognize how it would put American lives at risk. But it will pay for another destroyer or two… sigh. You prove my point. You’ve written that Law Enforcement is the Coast Guard’s core business. The Coast Guard doesn’t make make that selection. House Appropriations committee visits newest cutter. Wow and to thing that the good folks at HQ were recently talking about starting the procurement on NSC #10!! Yes, NSC-TEN! Congress did include procurement of long lead time items for NSC#10 in the FY 2017 budget.